In order to help you become more familiar with the wisdom contained in the Wheel of Segais, I have put together a Personal Reader Kit. 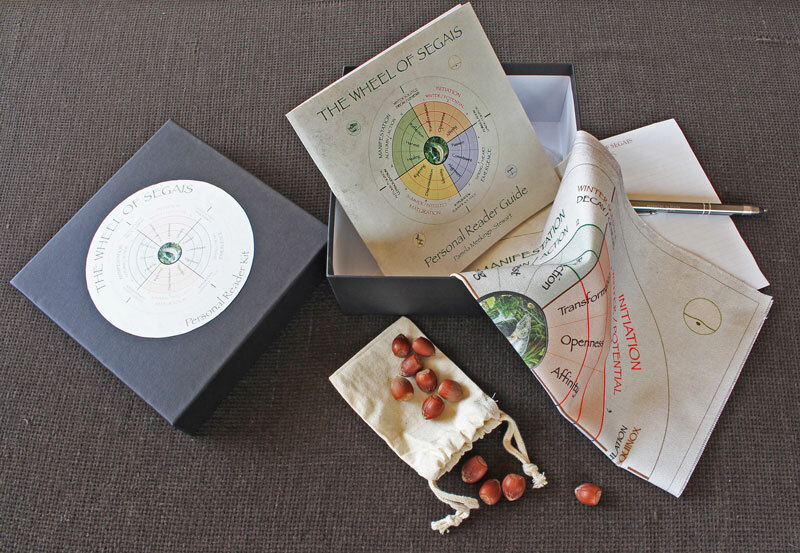 This contains a copy of the Wheel of Segais on which to do your casting; a Personal Reader Guide to help you interpret the layout; nine hazelnuts for casting (plus a couple of extras in case you lose one or two) and a notebook and pen to record your personal reading. The Wheel of Segais is a way to understand the cycle of all things be it a project, an intention, a goal, a life, a relationship, a business. All have their seasons. 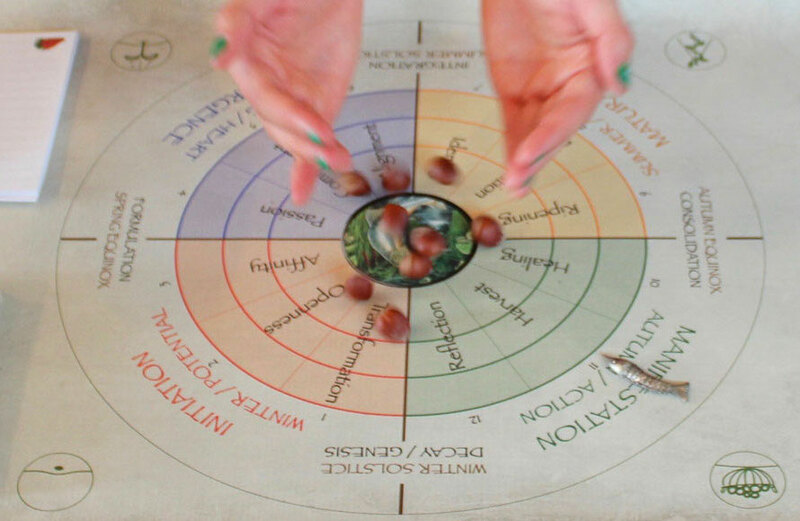 It is based on the innate order of all things, as the great wheel of the year spins and all things within the cycle have their place and can be used to highlight positive helpers and insights/answers to any question. It works with ‘guardians’, past lessons, present indicators, future possibilities and your own wisdom. It can be used on its own, or with a divination card (Tarot, Oracle, etc.) that can be dawn at the end of a reading for clarity. Once your payment and full address details have been received, your Wheel of Segais Personal Reader Kit will be dispatched – in New Zealand by Parcel Post /overseas by International Air Parcel (Australia 3-6 days / rest of world 4-10 days). Would you like to book an Online Reading?